The London Underground can be deeply confusing for visitors to Britain’s capital city. As a frequent traveller on the system, I always see people having the same problems, the same queries, with the same slightly mystified look on their faces. Why won’t the barrier scan my ticket? What does DLR mean? How do I get to my station? What you need is someone to tell you how to use the London Underground. Rejoice, because I am that person! And as an anxiety sufferer who likes everything to be explained in nice easy steps, I won’t baffle you. The London Underground is an extremely easy system to understand once you nail the basics, and if you swot up on it before you even leave, then you’ll be surfing the Tube like a pro once you get there. You’ll want to spending a good few days in London, as there’s certainly plenty to see, and getting to grips with the transport system is a necessity for achieving your goals. 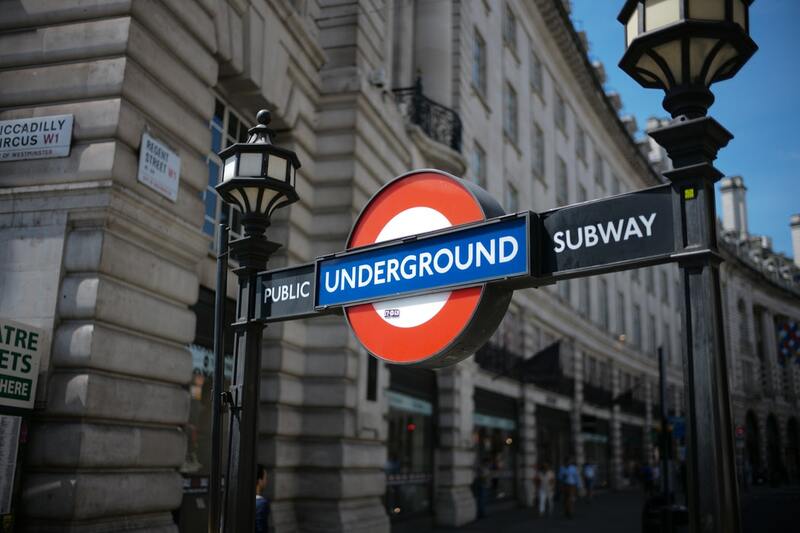 You’ll need at least a 4 day London itinerary to get the most out of your stay, so you’re definitely going to be using the Underground quite a lot. But don’t worry! We shall conquer that uncertainty together! You get the idea – it’s a paper ticket. You can buy these from machines in Underground stations, or purchase them from a kindly worker who’ll be stationed in a ticket office booth. But they’ll only work for one journey: how much it costs depends on how far you’re going. If you want a whole day of London travel fun, buy a Travelcard. This is essentially an all-day pass; you can also buy ones which last for seven days if you’re planning on using it a lot. By far the easiest way to get around the London Underground is to get yourself an Oyster Card. This is a pre-loaded card which will subtract the fare as you go through the ticket barrier, meaning that you don’t have to spend a moment queuing at the ticket booth. Joy! And the even better news is that you can buy them before you even leave home! Simply go to the Oyster TfL page and apply for one, and one will be issued to you in the post. Top it up online or on the app, or use the Oyster machines in the stations if you’re running low on funds, and the London Underground will be your, er, oyster. All of these extra cards and tickets in your possession seeming like too much hassle? Well, you can simply use your contactless bank card (and also some phone apps) at the ticket barrier instead! Have a look at the TfL contactless page to check if you have a contactless card, or if you can use your non-UK card on the Underground. This is probably the most common issue I see on the Underground, when you’d think it’d be the easy bit. But confusion does occur, so let’s have a look at those machines, lest you get to London and have a mob of sighing Londoners behind you. The confusion occurs because of the two different types of ticket – I’ve seen so many people trying to insert their ticket or card into somewhere it really doesn’t want to go. If you have a paper ticket, insert that little sucker in the slot right at the front of the machine, where it’s marked with a green LED arrow. It’ll be checked by the machine and pop up in the top slot, just behind the circular yellow pad you can see in the photo. Take the ticket and the barrier will pop open for you. If you have an Oyster card or a contactless card or phone app, then you don’t need to insert anything anywhere (phew!). Indeed, trying to put your card into the paper ticket slot will not end well. Simply tap your card on the yellow circular pad, just as you would if you were paying with a contactless card in a shop. The barrier will open accordingly. Don’t feel bad if you’ve made this mistake! Like I said, I probably see this every time I travel through London, which is quite a bit! The London Underground map really isn’t too bad to interpret – the main thing to remember is that it doesn’t actually bear much resemblance to the layout of the city above you, but that’s the genius of the design. When you’re underground, it doesn’t actually matter what the layout of the city is; instead, you have a beautifully simple map to navigate you around. So let’s look at it closely. First, do you see those grey and white shadings in the background, with numbers written on them? Those are the zones, which determines how much your ticket is going to cost. If you’re staying in Zone 1, then it’s going to be a minimum cost. If you go from a station in Zone 1 to a station in Zone 6 (such as travelling from Green Park to Heathrow), it’ll cost you more. White circles denote stations where you can change lines, in order to go in a different direction. So, looking at the map again, let’s pretend that we’re going on a journey from Victoria station to Leicester Square. You’d travel northbound on the Victoria Line to Green Park, where you would change on to the Piccadilly Line and travel eastbound to Leicester Square. Some stations are actually connected by footpaths. Have a look at Bank station – you can see from the map that you don’t need to get on a train to go to Monument station; there’s a handy walkable tunnel connecting the two. Look at the key again, and you’ll notice some other services – DLR (Docklands Light Railway), Emirates Air Line, London Overground, TfL Rail, and London Trams. As you may have guessed, these aren’t Underground lines, but they’re included on your ticket. So if your destination includes a trip on one of these, you’re covered! After you’ve passed through the ticket barriers, there will almost undoubtedly be an Underground map somewhere on the wall – if you’re not already sure where you’re going, stop for a moment to examine it and settle on your route before you make your way on to the platforms. It’ll save you a lot of confusion! If you want the security of having a map you can take with you, consider buying a small fold-out one – they’re very inexpensive, and available from Amazon UK or Amazon US. Or get one of these and stare intently at your own chest. Or someone else’s. Just don’t get slapped. There’s also a good number of map apps you can download. Now that you’ve checked the map, you’ll know which Line you need to go on. If you look around you, you’ll see signs either above your head or on the walls telling you in which direction you need to go for each Line – if you’re on a station which only has one Line going through it, then this is even easier! But don’t move away from that map yet. You have to know which direction you’re going in – northbound or southbound? Eastbound or westbound? Quickly check on the map. It’s as straightforward as it looks, with no hidden tricks – for example, if you’re at Victoria station, you would go northbound for Green Park, eastbound for St James’ Park, southbound for Pimlico, and westbound for Sloane Square. Knowing which direction you’re bound in simply ensures that you get on the right platform, and on the train going the right way. Checking it on the map saves you a lot of confusion when you’re in the busier and more-confined spaces closer to the platform! Now you’re heading in the right direction, it’s smooth sailing! But there’s still some top tips you can follow to make your journey more comfortable, or avoid the tuts of Londoners. As you’ll probably already know, Britain has arcane and unspoken social rules, and the London Underground is no exception. If you’re quite happy just chilling on the escalator, and you’re not in any particular rush, then keep to the right-hand side, one person per step. The left side is reserved for people who are in a bit of a hurry, giving them a clear corridor to run up or down. You’ll especially find this in stations which also have a overground station, such as Victoria, Liverpool Street, King’s Cross, London Bridge, Waterloo, and Paddington, as commuters often need to rush to make a train connection. No-one expects you, as a visitor, to get on to the platform and immediately know which direction you’re going in. But don’t stop abruptly at the bottom of a staircase or especially an escalator in order to work out where you need to go next. At best, you’ll have irate passengers squeezing past you; at worst, you can cause a pile-up as people and their bags/suitcases get tangled up. I’ve been on the receiving end of people stopping at the bottom of the escalator, and it can become a big problem very quickly. Simply move to one side, and let others past while you orientate yourself. Although there’s obviously a lot of very busy events in London, many of which are annual and cause large crowds on the Underground (such as the Notting Hill Carnival or London Pride), a lot of people forget the football matches which occur nearly every weekend. People on the Underground won’t mind if you’re having a quick snack, but try not to bring anything too strong-smelling on to Underground trains. When you’re in very close proximity to others, the smell of your food can quickly become a major annoyance! Similarly, drinking alcoholic drinks on the train will not go down particularly well. Most Brits appreciate good manners, and similarly feel a little embarrassed about asking for assistance. If you see someone standing who could do with a seat, such as an elderly or infirm person, offering them your seat will be highly appreciated, especially during busy hours. You’ve arrived at your destination! Hurrah! The hard bit is done. As you step off the train, look at the wall in front of you – there will be signage high up, informing you on which direction you need to go to change lines, or to get to the exit. Just keep following these! You’ll often find that there’s a couple of different exits – if you’re near points of particular interest, you’ll also commonly find that they’re marked for you, letting you know which exit to take. Very handy if you’re visiting a sight! All you need to do now is pop through the ticket barriers, and you’re free to enjoy the sights and sounds of London’s surface, safe in the knowledge that you’re now a pro at this. Why, you’re practically a Londoner! Now I’ve told you the old-fashioned, tried-and-tested way to use the Underground, a skill which will help you with your London life forever. But… mayyyyybe there’s a little way to cheat, and navigate the system with a bit of technology. And it’s the Tube Exits app. Not only will it tell you which carriage of the train to enter, in order to arrive at your destination as close as possible to the station exit, but it’ll plan your journeys and give you live status updates. 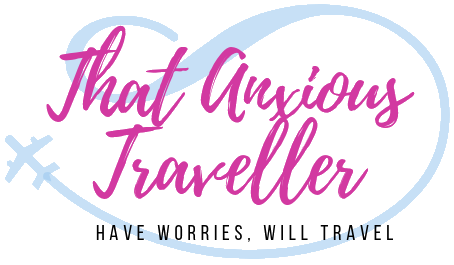 I used to depend on it whenever I travelled, and I can certainly vouch for its usefulness! Well, you are now a pro Londoner! 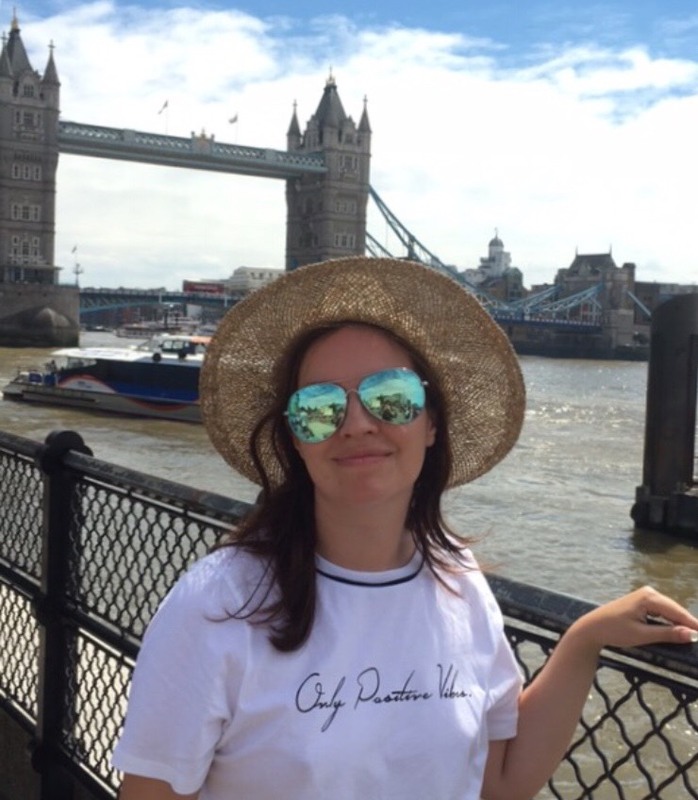 Using the Underground makes life considerably easier in the capital – it may seem a bit scary and bewildering at first, but learning how to use it instinctively is so worth it. You’ll be able to go to any station in London and use exactly the same principles, and never feel lost. Happy exploring! Was this article useful? Let me know in the comments below, or use the share buttons to spread the love! You can also use the image below and save it to Pinterest for later! Superb! Very well explained. With a lot of practical advise. I remember helping a ton of Spanish tourists in the tube who barely knew any English! I felt like it was payback for all the time someone helped me in Spain. Have you been to Tokyo? There metro is pretty complicated! If you go, please write about that too! Such a great guide for first-timers! Very well explained and everything you need to know when using the tube! The way you explain London underground and practical advises are just amazing!! Great post! It is very informative. Checking the football schedule is a great idea! I also like to try to avoid using the Underground right after the West End shows are let out- it can get uncomfortably busy during that time!